The Aerodyne Environmental now presents range of system evaluation services to dust collection system operators via Dust Efficiency Clinic. The services include a safety assessment and a collection assessment. The safety assessment evaluates facility’s hoods, ductwork, explosion vents and housekeeping areas and suggest for areas of improvements. In collection assessment, the team gathers physical data on system airflow, temperature, static pressure and reviews dust collector, fans, dampers, ductwork and hoods. CLEVELAND, OH – January 17, 2018 – Aerodyne Environmental, a manufacturer of industrial dust collectors and material handling valves, now offers dust collection system operators a range of system evaluation services through its Dust Efficiency Clinic. These services can be tailored to boost the efficiency of an operation’s dust collection system, decrease maintenance costs, prolong equipment life, or improve compliance. 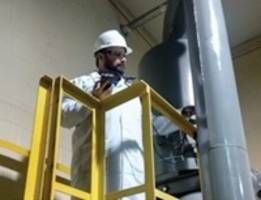 A safety assessment: An Aerodyne dust collection specialist will review and inspect the facility’s equipment, installation, controls, and protective devices. This assessment evaluates the facility’s hoods, ductwork, explosion vents, housekeeping, and other related areas. The assessment report will include suggestions for areas of improvement so that the dust collection process will comply with the latest NFPA standards. This safety assessment is recommended as a preliminary step before conducting a Dust Hazard Analysis. To learn more about Dust Efficiency Clinic consulting services, call Dan Navicky at (440) 543-7400 or tollfree at (800) 358-7546, or email dc@dustcollectorhq.com. Inspired to Be Different. At Aerodyne, we choose to take a different approach to collecting dust and handling materials. Our cyclones are unique in design to address common issues such as problematic dusts and space constraints. Our airlocks are chosen to fit your specific application instead of hastily installing traditional equipment options. We believe that when we see things differently, we can solve problems effectively. That's why so many people turn to us for help in solving their tough dust problems. Eisai Machinery U.S.A. Inc. Acquires Parenteral Product Line from M.W. Technologies, Inc.